Visual Studio Code>Themes>RainglowNew to Visual Studio Code? Get it now. Rainglow is a collection of color themes for a number of different editors and platforms. This repository consists of 320+ syntax and UI themes for Visual Studio Code. Rate the extension on the marketplace. To install the color themes, just use the extensions tab within VS Code and search for 'Rainglow'. Once installed, themes can be switched using the menu item Code -> Preferences -> Color Theme. 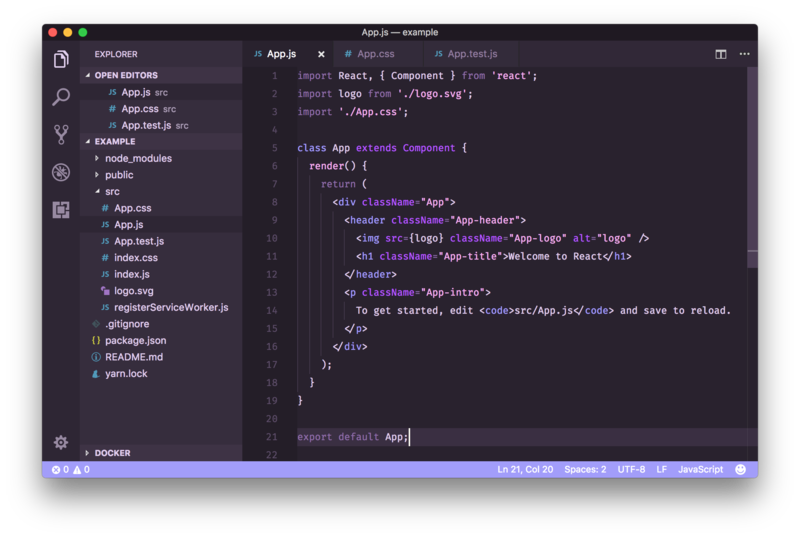 Clone the repository into ~/.vscode/extensions and restart the editor.